I realized I was overthinking the sketchbook project. Since I draw with thread, all I have to do is sketch with thread, and then think about how to make it more book-like. So, above is an oak, and the beginning of a set of parts of an oak tree (bark, leaf, seed, maybe something else). 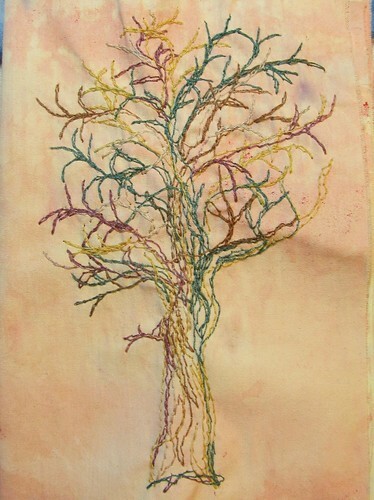 I have three more sets of fabric pages, which I think will be dedicated to three other trees. There ya go. You can wonder under them in to the sketchbook. Love the way you draw!